When a person passes away, their loved ones will need to deal with their assets and property. In the state of Colorado, probate is the legal process by which a person’s assets are distributed to the appropriate parties. Unfortunately, even when a proper will is in place, fierce disputes can still arise over precisely how property should be divided. Your loved one’s last wishes should be carried out. At Bloch & Chapleau, LLC, our skilled Colorado probate attorneys have extensive experience handling a wide variety of probate-related legal issues. If you are being deprived of your rightful inheritance, or if you believe that your loved one’s estate is being mishandled, we are ready to help you. Please contact a member of our law firm for an immediate review of your case. 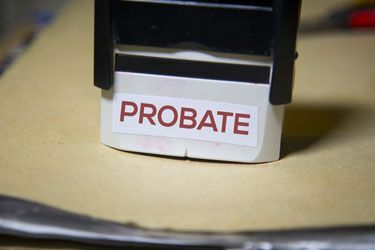 Probate is the legal process by which a will is proven as valid under Colorado law. This is a more complicated matter than many people realize. The deceased person’s assets must all be identified, their property must be appraised, debts and taxes must be settled, and any competing legal claims must be resolved. In the state of Colorado, a local court will be responsible for overseeing probate. For example, the Denver Probate Court is responsible for the cases that arise out of the City of Denver and Denver County. When Should You Hire a Denver Probate Law Attorney? Breach of fiduciary duty cases. If you believe that your loved one’s last wishes are not being properly carried out, or if you believe that you are being unjustly denied your inheritance, you should consult with an experienced Colorado probate litigation lawyer as soon as possible. Your lawyer will be able to review the specific facts of your case in order to determine what action needs to be taken to protect your rights. At Bloch & Chapleau, LLC, our probate law attorneys have extensive experience representing individual and families in Colorado. No matter your situation, we are ready to help. To learn more about what our legal team can do for you, please contact us today for a fully confidential consultation. We have offices throughout the region, and we handle probate law issues in Park County, Denver County, Adams County, and Jefferson County.